The Red Night is an immersive event for the opening of Salone del Mobile Milano in Shanghai. It includes narrative through space involving actors interactions, spatial installations and performances. See more here. Is an installation I curated in which two contemporary dancers are improvise to the soundscapes of Milano and Shanghai. They are mirroring each other in the space on each side of the tunnel with cut-outs from the shapes of the different districts of both cities. See more here. 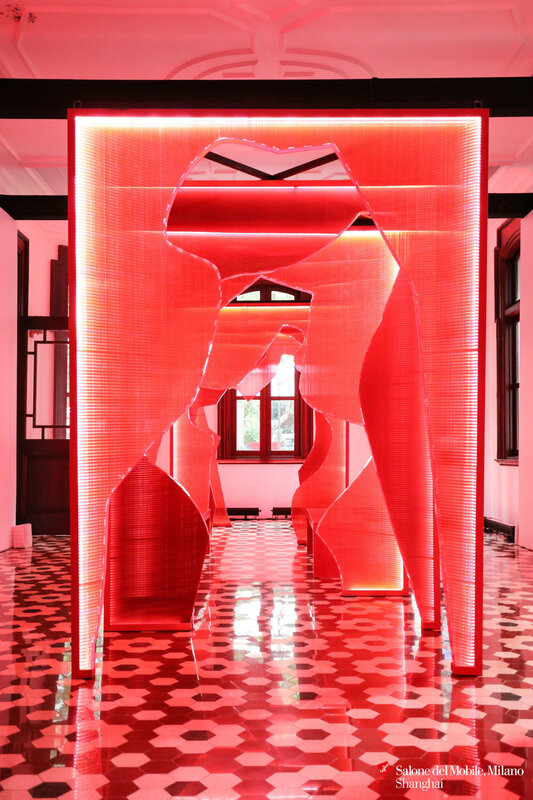 The Red Night is an immersive event for the opening of Salone del Mobile Milano in Shanghai. It includes narrative through space involving actors interactions, spatial installations and performances. 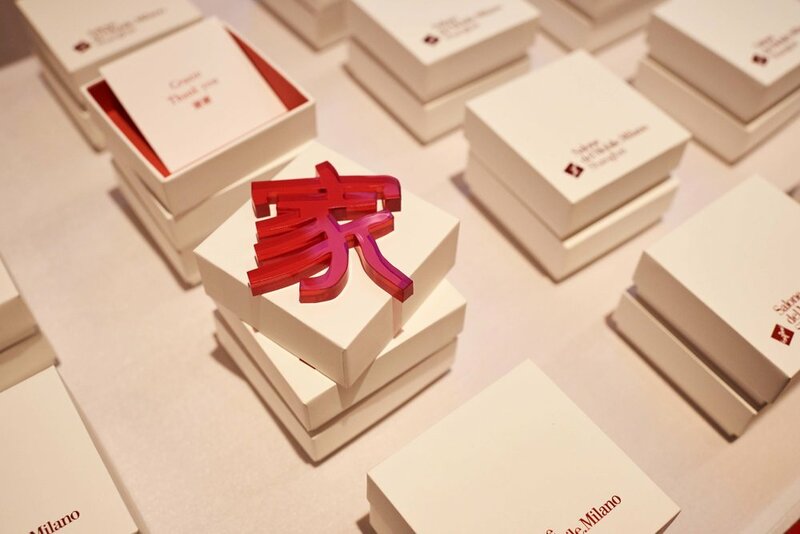 This year the concept involved geographical shapes from both Shanghai and Milano districts. See more here. 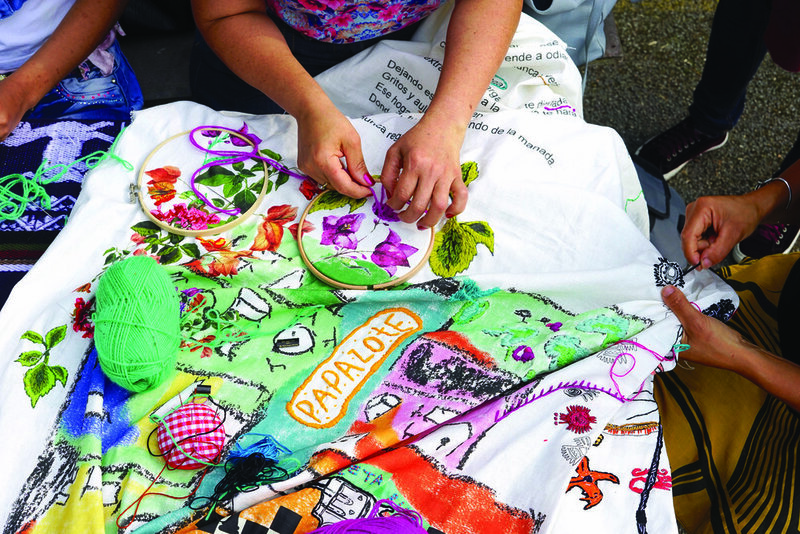 In this year’s exhibition, the MA Narrative Environments class presents our individual achievements and our sense of ourselves as an evolving collective and distinctive practice. Each student has created a shape representing an object crucial to their project. These motifs recur throughout the show, flickering into view within exhibits and catalogue pages. They gather at the apex of the exhibition to form an unfolding ecosystem. See more here. EVENTS - "The Secret Garden Rococo Revisited"
VISUAL IDENTITY - "Bookworm Literary Festival"
Key Visuals. See more here. Window display - Ice Queen. See more here. EVENTS - Amcham Gala 2015 "The Centennial Ball"
Scenography for foyer area. See more here. VISUAL IDENTITY - "Photo Shanghai 2014"
VISUAL IDENTITY - " Photo Shanghai 2014"